Hello May! The new month quietly sneaked up on me and we are in the homestretch with only 4 weeks left until James is done with 8th grade. Ye gads! Never imagined I still be homeschooling when he reached high school, but time flies when you are having fun. I enjoy learning about art, but sometimes the non fiction art books, despite the beautiful and sometimes mysterious pictures, can be a dry subject. Which is why I love art fiction and art history mysteries. And I managed to pass on the love to my son when he was younger through delightful kids books written by James Mayhew and Laurence Anholt, plus Getting to Know the Worlds Greatest Artist's by Mike Venezia. Even though I don't read a lot of non fiction for fun, I had heard great things about Monuments Men by Robert Edsel and preferred to read the book over watching the movie. And I didn't complain too much when the book arrived and immediately disappeared into my son's room upon arrival. 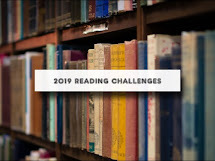 Now it's my turn, and since a few folks on Well Trained Mind are interested in a readalong, I am declaring May - Monuments Men and art fiction/history mystery reading month. One of my favorite art history mystery writers is Iain Pears, from Oxford England, who wrote The Flavia De Stefano mysteries about a Roman art theft squad which starts with The Raphael Affair. 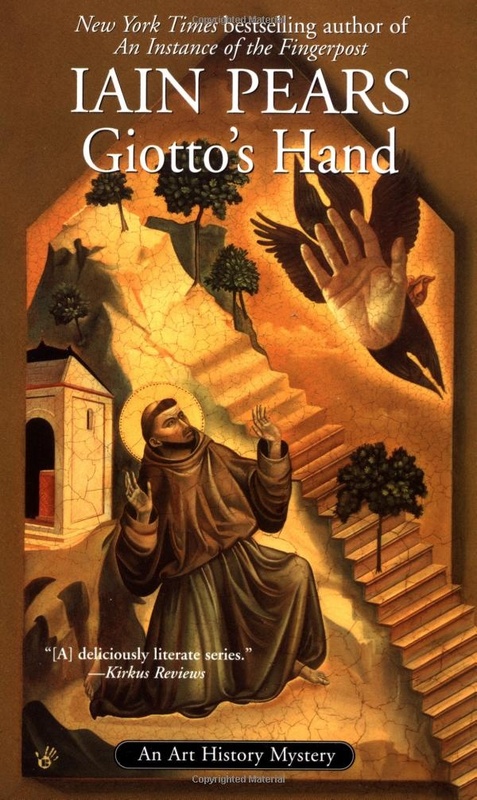 I've read the majority of his books and currently have Giotto's Hand in my stacks. For my non fiction buffs, check out Goodreads Best Art and Art History books and fiction wise, Popular Art History mysteries. Join me in reading Monument's Men. I would love to read Monuments Men along with you! That sounds fascinating and fun! Count me in. I saw the movie and greatly enjoyed it. If I didn't have three book tours this month, I'd join you! There are two art type non-fiction books that I read a couple of years ago. Both books were finished quickly but have stayed with me. I've read Tracy Chevalier's two art themed novels (The Girl with the Pearl Earring and The Lady and the Unicorn) and enjoyed them both. I might be able to find time to start an art history/mystery novel this week - I will check out Iain Pears as he is a new-to-me author. 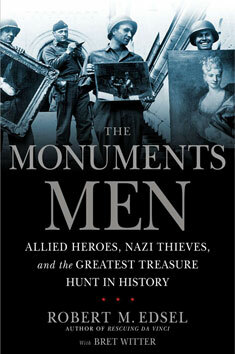 I want to read and see The Monuments Men too.